The saying 'no good deed goes unpunished' rang true for Steven Arrasmith who stopped his car on a bridge between Idaho and Oregon to help a driver who had lost control on the ice. 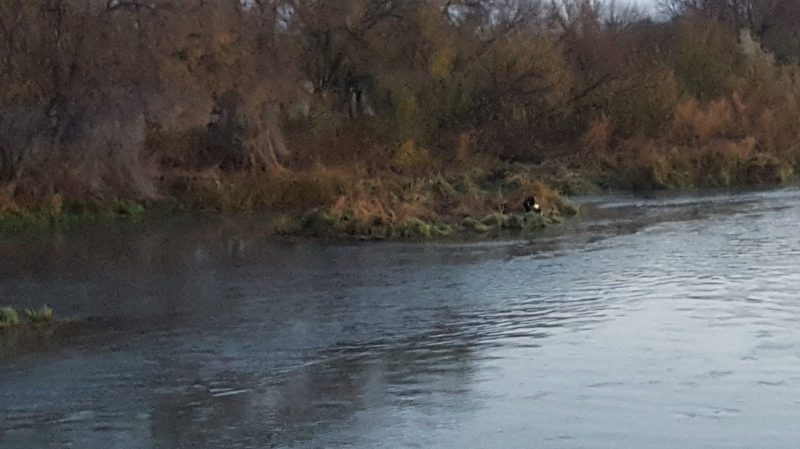 A short while later he found himself soaking wet, stripped of some of his clothes and stranded on a small island in the freezing river some 50 feet below. 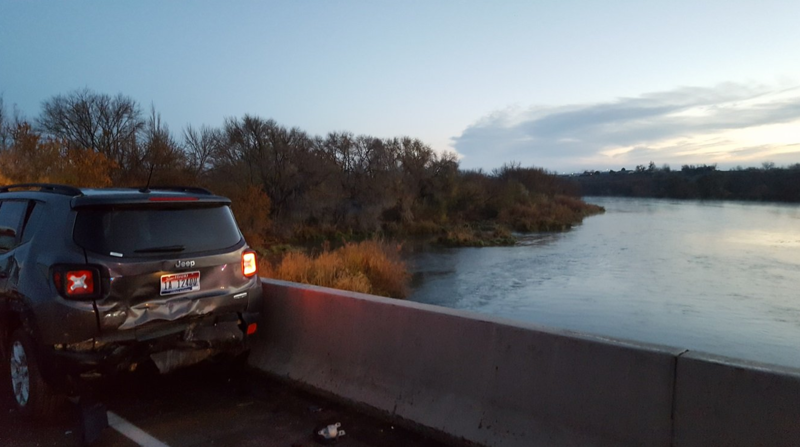 The 34-year-old from Mesa, Idaho, stopped his Jeep on the Interstate 84 bridge around 6 a.m. Monday (8 a.m. ET), Oregon State Police said in a statement. He wanted to help a Chevrolet Colorado that had lost control on black ice and collided with the side of the bridge. Arrasmith was standing next to the vehicles when a third car, a Hyundai, also lost control and struck his Jeep, shunting the other cars forward and knocking him over the railing. He suffered "a serious injury" but managed to hang onto the side of the bridge for a short time before dropping 50 feet into the bitterly-cold Snake River below, according to the police statement. It was still dark, with around two hours until sunrise, and the predawn temperature was a biting 30 degrees. "In the darkness, Arrasmith managed to shed heavier clothing and swam to a nearby island," the statement said. First responders at the scene of the crash could hear his yelling and managed to reach him. He was taken to hospital with "non-life-threatening injuries," the statement added. Neither of the other drivers received serious injuries.